The futuristic boxing movie is being penned by "Dante's Peak" scribe Les Bohem, who created and wrote the Spielberg-executive produced Sci Fi Channel show "Taken." 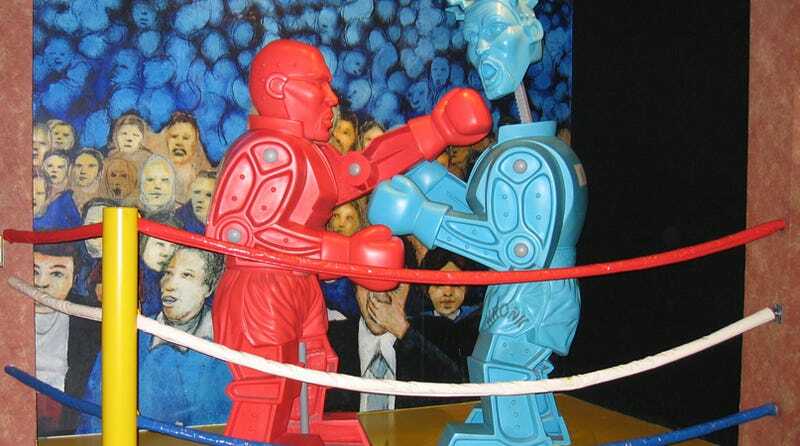 Story takes place in the near future where 2000-lbs robots duke it out in the boxing ring. It follows a boxing promoter who takes his human fighter into the rings against the robots.